NEW YORK (CBS/AP) Tiger Woods' doctor, Dr. Anthony Galea, is suspected of providing athletes with performance-enhancing drugs, according to The New York Times. The Canadian doctor, who has treated the golfing great, is reportedly under FBI investigation. The Canadian doctor has also treated sprinter Donovan Bailey, figure skater Patrick Chan and various NFL players. The Times reported that Galea was found with human growth hormone and Actovegin - a drug that is illegal in the US - in his bag at the US-Canada border in late September. He is also under investigation in Canada and was arrested Oct. 15 in Toronto. Galea is also being investigated by the Royal Canadian Mounted Police for smuggling, advertising and selling unapproved drugs as well as criminal conspiracy. He is scheduled to make a court appearance in Toronto on Friday. None of the accusations against Galea have been proven in a Canadian or US court of law. His criminal defense lawyer, Brian Greenspan, said the investigation will vindicate his client. The New York Times quotes sources close to the investigation as saying the FBI probe is based in part on medical records found on Galea's computer relating to several professional athletes. The anonymous sources did not disclose the names of the athletes. Galea told the newspaper "it would be impossible" for investigators to have found material linking his athletes to performance enhancing drugs. 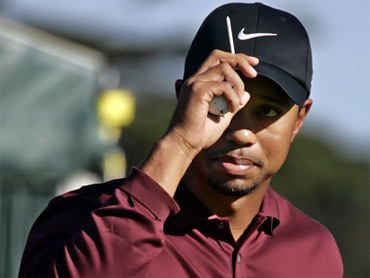 December 8, 2009 - Tiger Woods Breaking News: Ambulance Called, But Who Was Taken to Hospital?